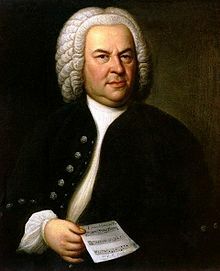 As with many of the Baroque and classical music composers, Johann Sebastian Bach was a very religious man who received much of his music training in the church. He wrote many moving religious compositions, one of which is his oratorio, the stirring St. Matthew Passion. As the sacred holiday, Easter, is nearing for Christians, I think Bach's sacred St. Matthew Passion is appropriate for this season. So, please turn up the sound and enjoy the opening and final chorus of this moving music by the giant of Baroque music and the giant of music itself, Johann Sebastian Bach.